Dr. Daniel Goldberg is a licensed psychologist (NJ #2059) specializing in individual, couples, and adolescent therapy. For over 25 years, he has maintained a private practice in Princeton, NJ. He is a Field Supervisor helping to train psychology graduate students at GSSAP, Rutgers. 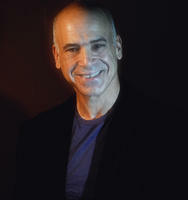 He is Director of the New Jersey Couples Therapy Training Program, a division of CPPNJ. He has taught courses on psychotherapy with adolescents, couples therapy, love, object relations, and the foundations of Freud. In his leisure time, he is also an active amateur photographer and participates in juried shows in the NJ/PA area. Previously, he was as Assistant Professor at Jefferson Medical College in Philadelphia for five years. During that time, he completed the book Contemporary Marriage: Special Topics in Couples Therapy (Dorsey Press, 1985). In addition, Dr. Goldberg has presented at national conferences and to general audiences speaking on the topics of sexuality and desire deficits, diagnosing adolescent problems, managing affairs, the key challenges in couple relatonships, and addictive processes. He has consulted with the Partnership for a Drug Free America.